American Airlines has posted a video which shows a DeLorean flying next to an American Airlines jet on October 26, 1985. The DeLorean then accelerates (well past 88 mph, we’d assume) and disappears in a flash of light. It appears on October 21, 2015 next to a modern American Airlines jet before accelerating and travelling through time yet again. 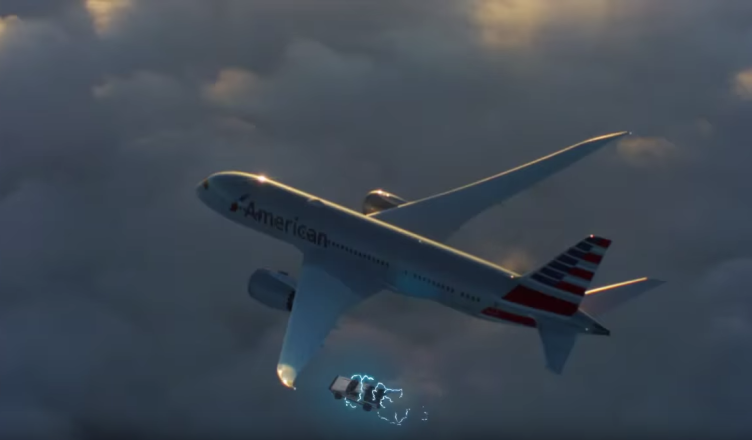 It’s a nice tribute to Back to the Future from American Airlines. 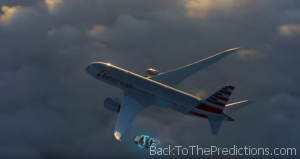 Although American Airlines was not referenced in any of the Back to the Future films, US Air was seen on a billboard promoting “Surf Vietnam“. US Airways merged with American Airlines in 2013 under the American Airlines name. The final US Airways flight was just a few days ago on October 17, 2015.